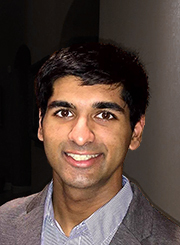 All of the files that we work with in this tutorial are available on the GitHub repository. I wanted the UITableView cells to look similar, if not the same, as the Android app. Easy sharing buttons for Twitter and Facebook. 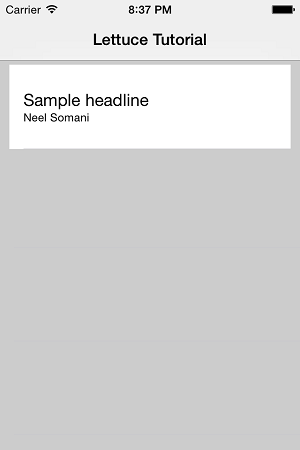 The articles needed to be shown within a native UIWebView. The main purpose of the app: fetch and parse article information from the Lettuce XML file (or for some sites, this may be an RSS feed). I actually cover this in the next post. A native UITableView is attractive, but often we want our cells to have an appearance that isn't provided by any of Apple's built-in styles. One of the easiest methods of having greater control over cell appearance is by subclassing the UITableViewCell. Before we start on that, obviously we will need a UITableViewController and a UITableView. I created a Single View Application project called "Lettuce Tutorial". In the storyboard file, I deleted the UIViewController and added a UINavigationController, setting it as the initial view. If you're following along, right click on the folder for your project name in the file explorer and click New File... then Objective C class. Create a subclass of UITableViewController. You can delete the original View Controller files. Back in the storyboard file, focus on the UITableViewController. Open the Identity Inspector (i.e., the third tab). Under "Custom Class," set the class to the name of your newly created UITableViewController class. 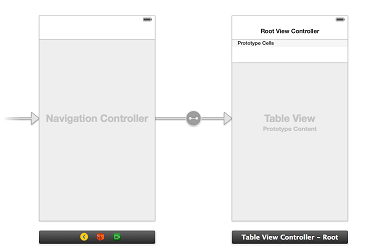 Focus on the actual Table View within your TableViewController. In the Attributes Inspector, scroll to the bottom and set the background of the View. If you do this right, the color of the top of your "Root View Controller" should change to the color you set. By the way, you can change the text "Root View Controller" by selecting the Navigation Item within your Table View and opening the Attributes Inspector. While the storyboard file is already open, we can start customizing the cell appearance. I dragged the bottom of the UITableViewCell so it was 100px tall. Then in the Attributes Inspector I set it to "Subtitle". Using the same process as with the UITableViewController, I created a custom class for my UITableViewCells. I set the Reuse Identifier (under the Attributes Inspector) as "HeadlineCell". Now I wanted to make each cell surrounded by a bit of padding. The easiest way to do this is by implementing the setFrame function within the LettuceTableViewCell class. Now let's move on to the LettuceTableViewController class. We want the table to show headlines and author names from an array. So in the LettuceTableViewController.h file we declare a few NSArrays that we will need. And in the LettuceTableViewController.m file we synthesize these NSArrays. I also changed the file so that there is one section in my table. The number of rows is the number of elements in headlinesArray. Each cell should be populated with the corresponding information in the arrays. Now we just need to put some elements in the NSArrays. I created a refresh function, just in case you want to add a refresh button to your app and call the function separately. I call the function in the viewDidLoad function. Go ahead and run the application. Ta-da! So now what do we have to do? When the user wants to view an article, the UINavigationController should present a UIWebView that has loaded the URL corresponding to the user's selection. When the user clicks on a cell, we want to present an Alert View. First we need to create an int to track which cell was just clicked. Here is the implementation of the didSelectRowAtIndexPath function. Now we need to make a few changes before our project will run. But we're not done yet. You need to click on your project name in the file explorer and scroll down to Linked Frameworks and Libraries. Click the "+" symbol and add Social.framework. Try running the app now. When you try to view an article, the app currently launches the URL in the built-in browser rather than in its own UIWebView. Our social sharing functions, however, are complete. 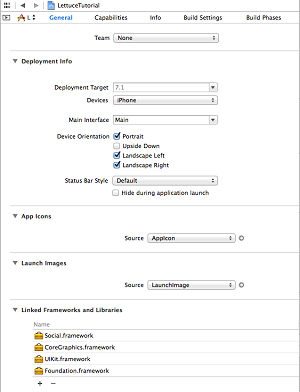 A UIWebView will need its own View Controller. So create a subclass of UIViewController. In the storyboard, add a View Controller and set it to this custom class. Drag in a Web View that takes up the entire space of the controller. Link the IBOutlet to your Web View by clicking on the File's Owner button for your UIViewController and dragging the circle in the Connections Inspector tab to your UIWebView. We also update the viewDidLoad function in LettuceViewController.m. urlObj is an NSURL with whatever URL we pass to the controller. We make a request and put it in a queue (if there is one). Then we use our Web View's loadRequest function if it is a success. We also need to create a manual segue. This will allow us to programmatically switch to the Web View. Ctrl + drag from the yellow File's Owner icon of your TableViewController to the ViewController. Select "push". Focus on the icon for your newly created push segue. In the Attributes Inspector, give it an identifier. I used "toWebView". Now you can access this segue in your code. We can update our didSelectRowAtIndexPath function in LettuceTableViewController.m to reflect this. And before the segue is performed, we can use the prepareForSegue function to send our URL. This means that we have to import LettuceViewController. If you run the application and click "View article", our native Web View handles the URL. Done! One last step: we need to fetch the XML from http://www.thelettuce.org/return.php, parse it, and populate our arrays. This post is getting a bit long however, so I'll cover how to do this in the next post.